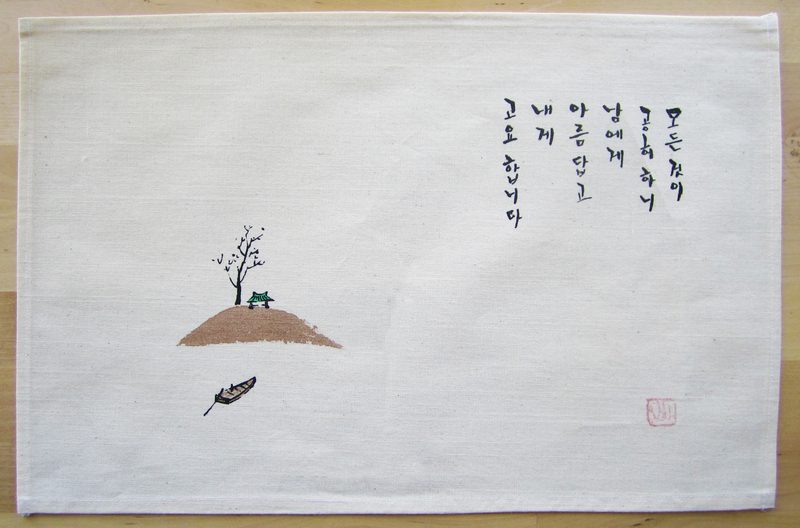 Translation of text: "Because everything is empty, to others it is beautiful, to me it is tranquil." Size: Approx. 16" x 11"